This is because Venus, Uranus, Neptune, the Moon and Mars are all pulling on Earth. 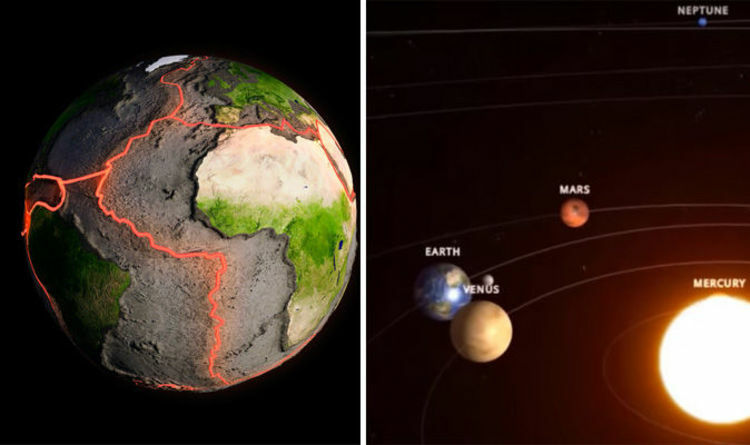 The gravitational pull of the celestial bodies either side of our planet could pull on Earth’s tectonic plates, according to the prediction. As the plates are tugged apart, they could cause earthquakes around the globe. ‘New-age earthquake forecasting’ website Ditrianum, run by researcher Frank Hoogerbeets, made the prediction, saying: “Critical geometry on the 12th and 13th may trigger more seismic unrest and possibly larger earthquakes from the 13th to the 15th”. Mr Hoogerbeets claims he uses a Solar System Geometry Index (SSGI) which “is the computation of a dataset for a specific time-frame of values given to specific geometric positions of the planets, the Moon and the Sun”. The website also recently predicted major tremors over Christmas. Mercury, Earth, Mars, Jupiter and Venus are set line up which will lead to a huge earthquake between December 21 and 25, 2018. According to Mr Hoogerbeets: “A very critical planetary configuration on 21 December 2018 is likely going to trigger a large earthquake between December 21 and 25, 2018. “Current estimation is high 7 to 8 magnitude. But experts have dismissed Mr Hoogerbeets’ claims, saying that there is no way earthquakes can be predicted. John Bellini, a geophysicist at the US Geological Survey (USGS) has said: “We can't predict or forecast earthquakes.